I have always found Chris’s bad behavior to be annoying but at the same time loveable, like a toddler that is more adventurous than most. Lately though, that bad behavior has gone from cute to somewhat mean. I’m talking about Chris’s treatment of our newest addition, Frankie. No longer, it seems, is he the cute, mischievous child but he now acts like the ruthless corporate executive that needs to stay on top at all costs. Okay, that last part is a bit exaggerated, but he has put himself in a position of being “less lovable.” Rose has even used harsher words than that when referring to Chris. I don’t want to imply that there is a war going on in our house. It really isn’t that bad. Most of the time Chris and Frankie can be in the same room without a problem, although they are by no means friends. The problems usually occur in the evening when Rose and I are home trying to relax. It starts with Chris wanting to get close to Frankie for a good smell. Frankie, not sure what Chris is up to, gets nervous and starts to hiss. This triggers the fight or flight response in Chris, only Chris doesn’t have a flight response. 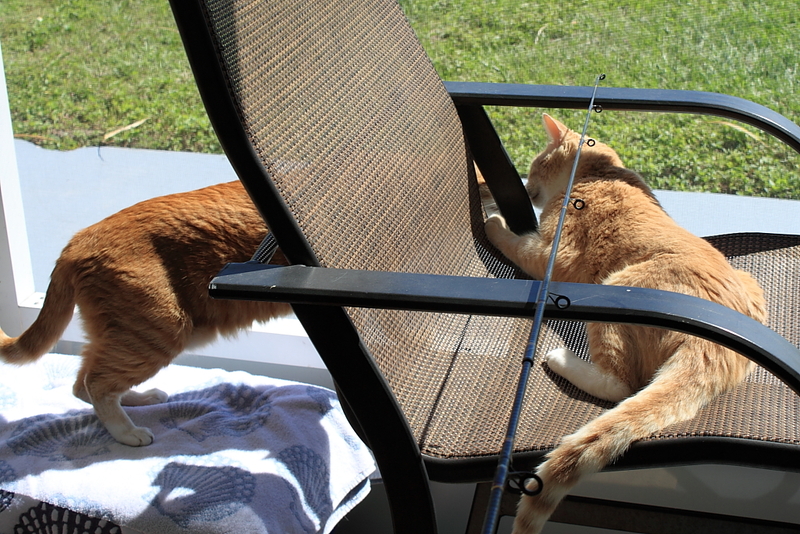 At this point Frankie has hidden himself behind the chair or some other object and Chris in now in hunter mode, pursuing his prey, which happens to be Frankie. This ends any chance we have to relax and one of us has to deal with disciplining Chris. I will usually grab Chris by the scruff of the neck and hold him down until I think he is more concerned with what I am doing and will stop going after Frankie. I also want him to know that there is an alpha male in the house that is not named Chris. This sometimes works but usually Chris just gets up, gives me a piece of his mind, and then starts looking for Frankie again. Now it is time for Rose to step in. She picks Chris up and puts him in “time out.” In other words, she puts him in our bedroom and closes the door. She did that last night and when she let him out we discovered he had broken a picture frame above Rose’s jewelry box, and he did it without even knocking it off the wall. Somehow Chris always finds a way to counter what we do to try to stop his bad behavior. While I am concerned about Chris losing his lovable status, I did hear something that may keep it intact. We went to the other coast of Florida to Visit Rose’s dad on Friday and when we came back on Saturday our cat-sitter, who is also our neighbor, said her little boy loved coming with her to visit Chris. Apparently, Chris played with the boy and gave him attention while Puck and Frankie stayed away. 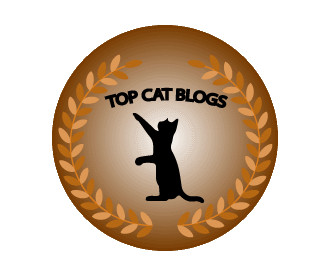 This entry was posted in Uncategorized and tagged Alpha, bad behavior, Cats, fighting, loveable, rivalry on March 19, 2014 by Charles Huss. 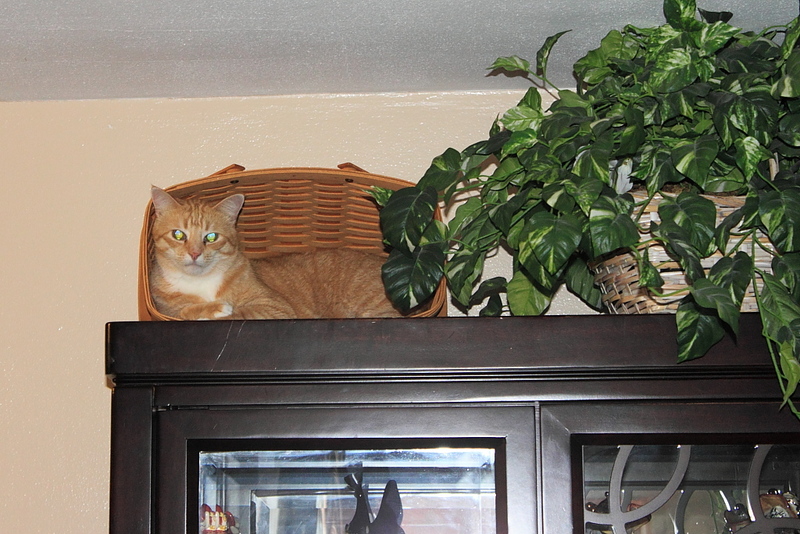 I mentioned before that Puck loves getting on top of the china cabinet and lying inside a basket that is up there (see here). Chris sometimes gets up there when he sees Puck in the basket and tries to take over. Puck never gives in until the other day. I wonder what changed? It’s my turn and if you refuse I will tell Mom and Dad who knocked over the Christmas tree. 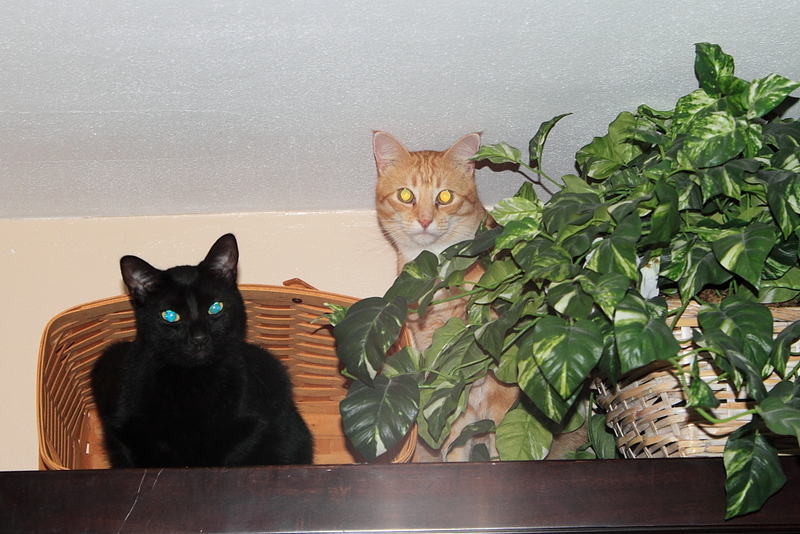 This entry was posted in Uncategorized and tagged basket, blackmail, Cats, China cabinet, rivalry on January 3, 2014 by Charles Huss.